Sulfation of peptides is another post-translational modification that occurs in some hormones and in malignant tissues. 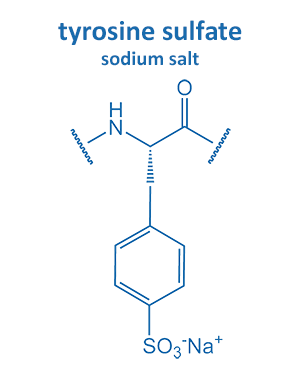 Particularly, the hydroxyl group of tyrosine is a prominent position for sulfation. 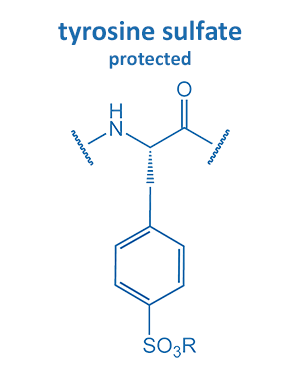 Due to the low stability of tyrosine sulfate, BIOSYNTAN offers a protected variant, as well as the sodium salt.